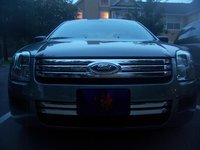 The Ford Fusion, among other vehicles, has become synonymous with the current resurgence of the American automaker. As GM and Chrysler continue to feel their way forward cautiously, Ford has managed to make itself relevant again in the minds of car buyers, and the Fusion, along with the Edge, the Escape, the Flex, and the new Fiesta, helps lead the way. The Fusion received a major refresh in 2010, which included exterior and interior enhancements. A domed hood, cleaner front end, revised chrome three-barred grille, and new headlights and foglights give the Fusion a sportier look outside, backed up by a number of new powerplants that excel at both performance and fuel efficiency. Inside, the Fusion received new metallic finishes on the dash, doors, center console, and steering wheel, which created a more contemporary look and reduced the plasticky feel. The instrument gauges and switches were updated with ice blue lighting, and Ford redesigned the leather-wrapped steering wheel. Other new additions for 2010 included a new shifter, restyled padded armrests, and new seats with contrasting stitching and leather inserts. For 2011, the Fusion receives only a few new features, including optional HD radio and rain-sensing wipers, as well as Ford's MyKey system, which now comes standard in all Fusion trims. The MyKey system enables parents to limit the car's speed and the audio system's volume when teens are driving. In addition, the system chimes continually when seat belts are not buckled. By limiting the speed of the Fusion, no matter who's driving, owners also can improve the vehicle's fuel efficiency. The Fusion comes in S, SE, and SEL trims, equipped with a four-cylinder powerplant, as well as V6-powered SE, SEL, and Sport trims. In addition, Ford added a Fusion Hybrid in 2010. A 175-hp, 2.5-liter Duratec powerplant, introduced for the 2009 Ford Escape and added to the Focus lineup in 2010, drives the four-cylinder Fusion trims, while a 240-hp, 3.0-liter Duratec V6 powers the V6 SEs and SELs. Also in 2010, the top-of-the-heap Fusion Sport received a new 263-hp, 3.5-liter DOHC V6, borrowed from the Taurus. All engines power the Fusion through the front wheels (although SE and SEL owners can add all-wheel drive as an option), and link to a six-speed automatic transmission designed for fuel efficiency as well as smooth yet robust acceleration. Fuel economy numbers for the four-cylinder engine check in at 23/33 mpg, while the 3.0-liter V6 posts numbers of 20/28. The numbers slip slightly for the big 3.5-liter V6, to 18/27. The Fusion Hybrid, co-developed with Toyota, trumps them all with very impressive fuel economy numbers of 41/36 mpg. Power comes from a 2.5-liter Atkinson-cycle gas engine and an electric motor connected to a nickel-metal hydride battery. 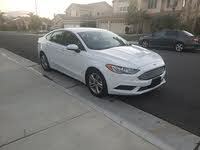 The Fusion Hybrid can travel up to 47 mph solely on electric power before switching to primarily gas-engine power at higher speeds, or when more power is required at lower speeds, such as when passing. The Hybrid powerplant puts out a combined 191 hp. Given its recent extensive updating, the Fusion will probably not see a next-generation update for at least a couple of years. More than likely, however, prospective buyers can expect at least a few incremental improvements in 2010, as well as some engine horsepower upgrades. The Fusion entered Ford's automotive lineup with the 2006 model year. Built at Ford's plant in Hermosillo, Sonora, Mexico, the Fusion rides on a platform created by Mazda for the Mazda6 and shared with the Mercury Milan and the Lincoln MKZ. Slotted between the Focus and the Five Hundred (which replaced the Taurus for a short time), the Fusion was the first Ford vehicle to showcase the automaker's distinctive design style, which continues to this day. The exterior design was inspired by the Ford 427 concept car and highlighted by the three-bar chrome grille and multi-element projector-beam headlights up front. Upon introduction, the Fusion came in S, SE, and SEL trims, all powered by a base 160-hp, 2.3-liter, all-aluminum DOHC Duratec four-cylinder engine mated to either a five-speed manual or a five-speed automatic transmission. Owners could opt for a 221-hp, 3.0-liter Duratec V6 for the SE and SEL trims. Variable cam timing and electronic throttle control on both engines maximized fuel economy and responsiveness while ensuring low emissions. 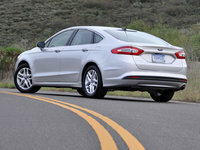 The Fusion displayed an exterior design described as athletic by the automaker, with a muscular stance and plenty of room in the cabin for both front- and rear-seat passengers. Emphasis was placed on fuel economy, safety features, and good driving dynamics, as well as on design and interior space. A stiff chassis ensured responsive handling and minimal flexing, while a four-wheel independent suspension provided a comfortable ride. 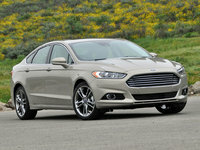 The Fusion sat on a 107-inch wheelbase with an overall length of 190.2 inches and a width of 72.2 inches. Those generous measurements for a midsize car, aided by the fact that Ford pushed the C-pillar back as far as possible, ensured ample legroom in the rear seat and plenty of space throughout the cabin. Fortunately, cargo space didn't suffer, with the Fusion offering a respectable 15.8 cubic feet of space in the trunk. Inside, standard features for the five-passenger Fusion included front bucket seats, remote keyless entry, a tilt/telescopic steering wheel, cruise control, and a 60/40-split, fold-flat rear seat. A year after launch, in 2007, Ford added an optional all-wheel-drive system for V6-powered trims, and offered Sirius satellite radio as an option in SE and SEL trims. In addition, front-seat side and side-curtain airbags became standard on all Fusion trims. Other new standard features included an MP3 input jack, while a DVD-based navigation system was added as an option. 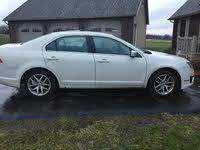 For 2008, antilock brakes and a tire pressure monitoring system joined the standard equipment list. Late in the 2008 model year, Ford added its SYNC communications and connectivity system as an option. The system enabled hands-free access to cell phones and MP3 players through the car's audio system. Other new features for 2008 included an optional color-configurable ambient interior lighting system and an optional Sport Appearance Package, which included a black chrome grille, a unique spoiler, color-keyed foglights, a sport-tuned suspension, red seat inserts, and red stitching on the seats, steering wheel, and console. Stability control, which improved handling and wheel traction, became an option in 2009. In addition, Ford offered a Blue Suede options package for SE and SEL trims, which included a charcoal black interior, ambient lighting, 18-inch painted wheels, and Alcantara blue-suede seat and door-panel trim inserts. The Fusion has garnered a number of awards during its relatively short history. The redesigned 2010 Fusion garnered Motor Trend's Car of the Year award and was named North American Car of the Year by a group of automotive journalists. It was one of the IIHS's Top Safety Picks and one of Kelley Blue Book's Top 10 Green Cars for 2009. Also in 2009, the Fusion Hybrid was named the No. 1 Hybrid Family Sedan by Car and Driver. Other awards included a Consumer's Digest Best Buy in 2010 and the Detroit Free Press's car of the Year, also for 2010. 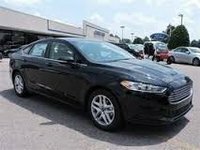 According to Kelley Blue Book, the Fusion manages only average resale value, which can be good for prospective buyers of Fusions but not so good for current owners. 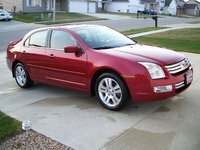 Even late-model (such as 2010) used Fusions make very good buys, and with its solid reviews, numerous awards, and good ratings from reviewers, a used Fusion should prove dependable for many years to come. Thanks to a fairly extensive Fusion trim lineup, buyers have quite a few choices, even though the Fusion has been in production only a few years. Budget-minded buyers seeking a fuel-efficient family hauler should look for four-cylinder trims such as the S and SE, while those who require more power can opt for V6-powered SE and SEL trims. According to some reports, the four-cylinder in earlier years was underpowered, and even the V6 struggled at times, so owners should opt for later-year, higher-powered trims if performance is a requirement. 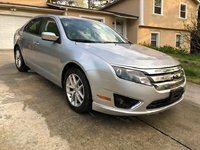 Buyers who live in northern climes might want to look for Fusion trims with AWD or, at the very least, stability control, which Ford added as standard equipment in 2009. Similarly, buyers who consider safety equipment paramount when choosing a used car should opt for Fusion trims built in 2007 or later, when front-seat side and side-curtain airbags became standard, or in 2008 or later, when antilock brakes were added to the standard equipment list. Prospective buyers seeking higher-end features, such as navigation or Ford's SYNC system, will have to look for later-model trims. Navigation became available as an option in 2007, and the SYNC system followed as an option a year later. Finally, those who want something a little bit different can search for the Fusion with the Sport Appearance Package, offered in 2008, or the Blue Suede Package, which came along in 2009, though both were available in limited numbers. 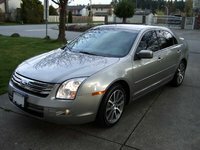 Does a 4 cylinder engine 2012 ford fusion fit a 2007 model Ford fusion 4 cylinder engine ? !